The top three men's Horse Lake Half finishers ran in a pack for much of the race before Seattle's Peter Harrison pulled away to win. 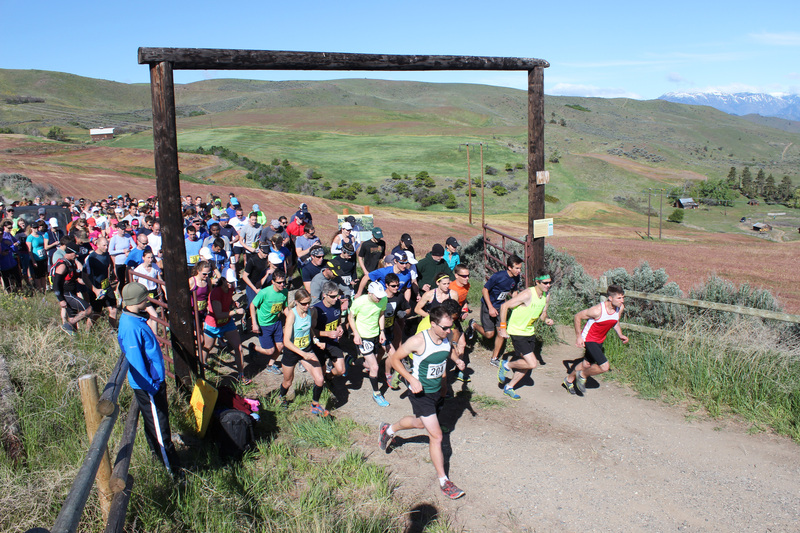 Here, at about the 3-mile mark, Brewster's Marcell McArthur leads, followed by Wenatchee's Caleb Ambrose and then Harrison. 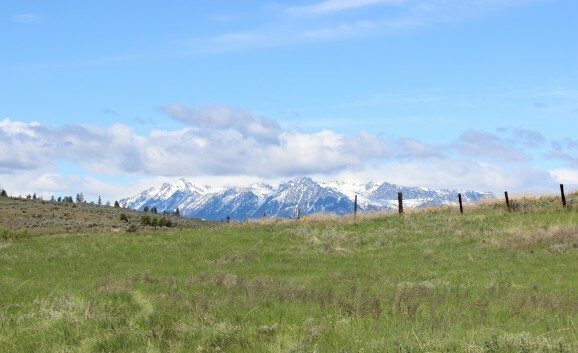 Farrell was referring to the competitive nature of the second-annual Horse Lake Trail Runs, but she could have easily had her own half-marathon course itself in mind. 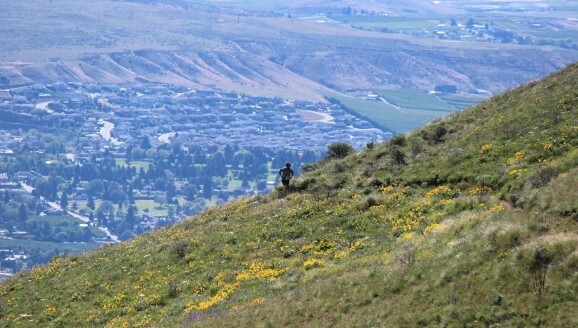 With the Wenatchee area in the distance, a lone runner emerges on the trail from down below. 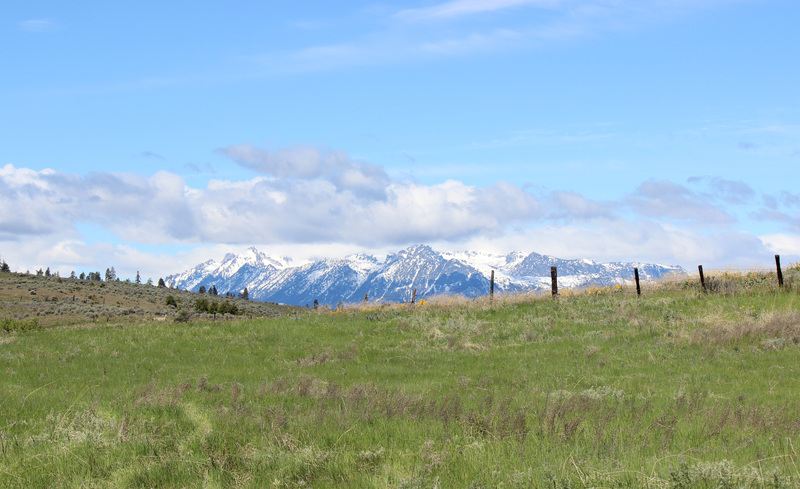 The 13.1-mile route at the Chelan-Douglas Land Trust’s Horse Lake Reserve included two long climbs and 2,300 feet of elevation gain in all. 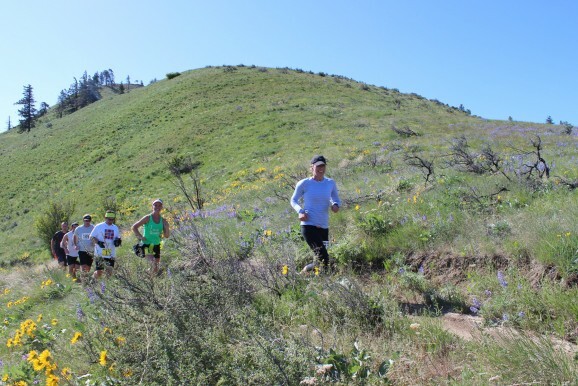 The event’s 5-mile course is much more forgiving with just 600 feet of elevation gain. 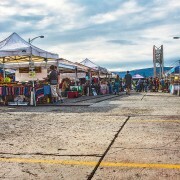 Saturday’s event, put on by RunWenatchee as a fundraiser for the Land Trust, sold out at 200 registrants, with about 60 of that number signed up for the half-marathon. The rest did the 5-mile run. Then again, that’s trail running. 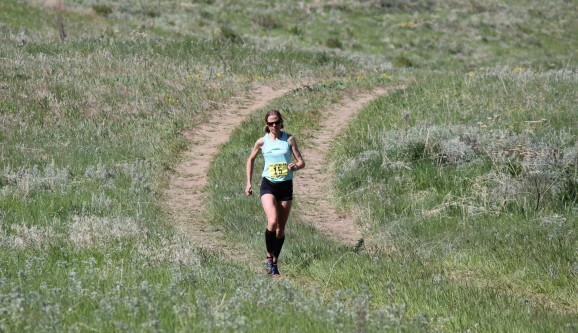 Horse Lake Half women's winner, Marlene Farrell of Leavenworth, runs on a dirt road in the upper reaches of the Horse Lake Reserve in the Wenatchee Foothills. 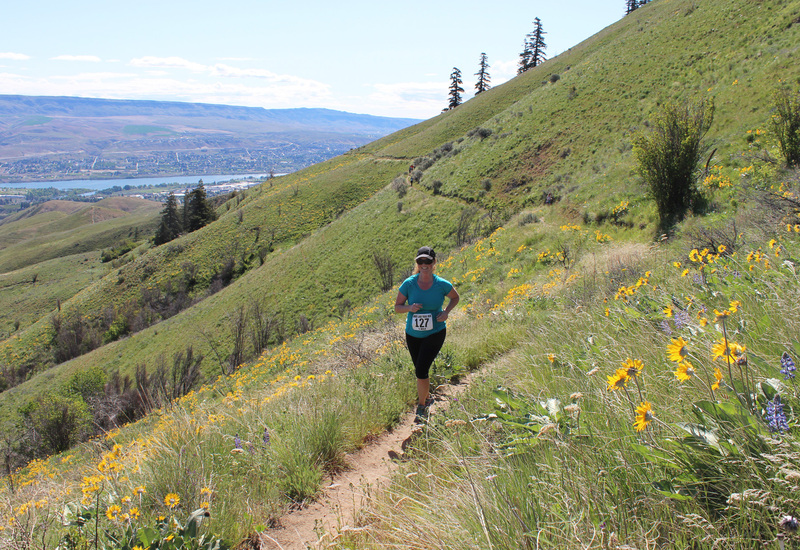 “The uphills were a nice intensity,” added Wenatchee’s Laura Valaas. Farrell, McArthur and Valaas were among a stacked field not seen in a local foot race in recent memory. Farrell, a Leavenworth resident who has qualified twice for the U.S. Olympic Marathon Trials and a veteran of more than three dozen trail races, captured the women’s half-marathon title in 1 hour, 40 minutes and 9 seconds. Barkley, competing in her first trail run event, was two minutes back with a time of 1:42:11 They were followed by Valaas, a former U.S. 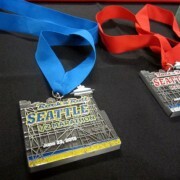 Ski Team member, in 1:49:05; Wenatchee’s Lynda Finegold in 1:49.26; and Seattle’s Elsa Sargent in 1:52.31. The men’s half-marathon was won by Seattle’s Peter Harrison, who broke away as the last climb began and crossed the finish line in 1:29:06. It was the first race for Harrison, who finished sixth overall in last year’s Seattle Marathon, in the Wenatchee area. McArthur and Wenatchee’s Caleb Ambrose, both off Boston Marathon appearances, were next with times of 1:32:14 and 1:34:21, respectively. 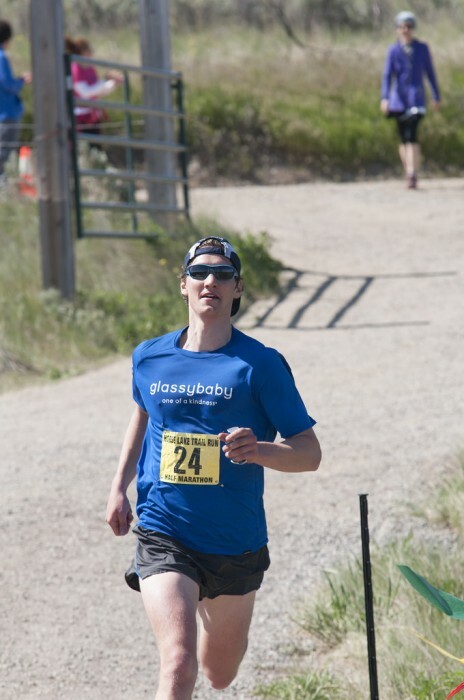 Wenatchee’s Andy Johnson, the defending Horse Lake champion, was next in 1:34.57. Linden Klein of Seattle rounded out the top five in 1:37:12. In the Horse Lake 5-mile men’s race, East Wenatchee’s Taija Corso came in first in 35 minutes and 12 seconds. Matthew Tangeman of Wenatchee was the runner-up in 37:41 and Wenatchee’s Ben Martin was third in 37:45. Ephrata’s Alice Burck captured the women’s 5-mile race in 41:28, followed by Wenatchee’s Heidi Loewen in 41:35 and Chelan’s Addy Simonet in 45:18. Afterwards, runners congregated under blue skies around the finish area at the Horse Lake Trailhead. Many said they can’t wait for next year. Katie Diomede of Spokane made the Horse Lake Half not only her first half-marathon but also her first trail race. 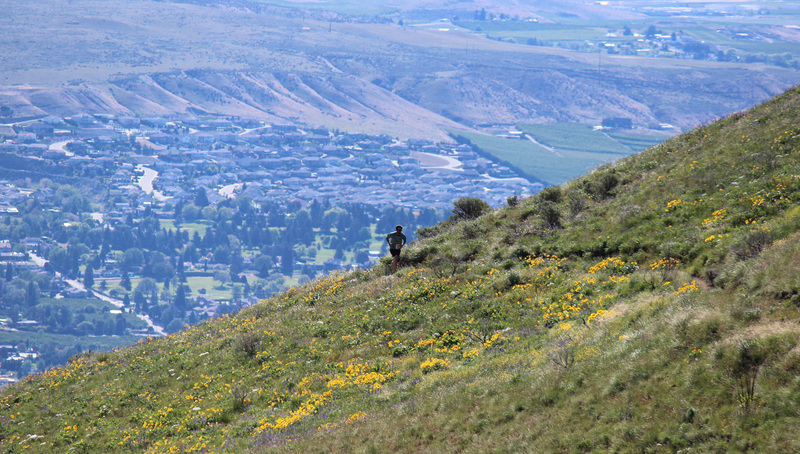 Jen Griffin-Dolge of Wenatchee, who participated in the 5-mile trail run, nears the top of the event's 600-foot climb. 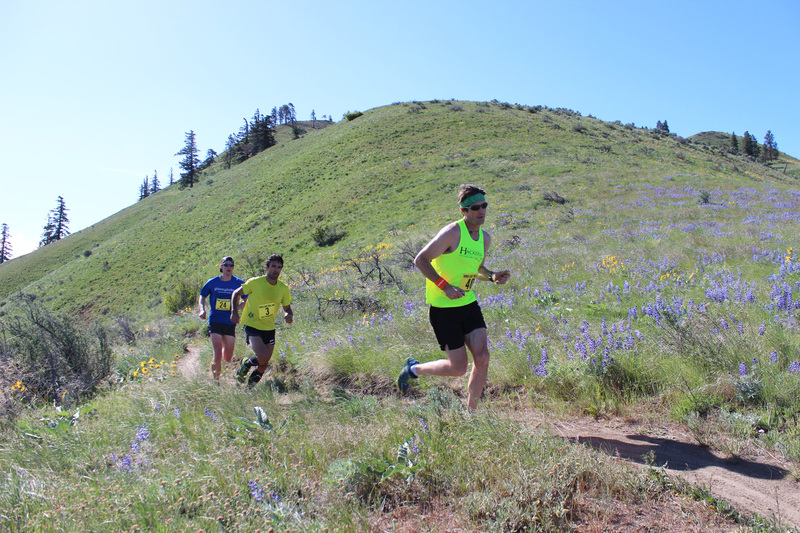 the Wenatchee National Forest south of Cashmere on June 8, followed by the Bavarian Battle 10-Mile and 8K Trail Runs at Leavenworth Ski Hill on June 22. Points are awarded based on order of finish after each race, with cash prizes awarded to men and women in long-course and short-course divisions. 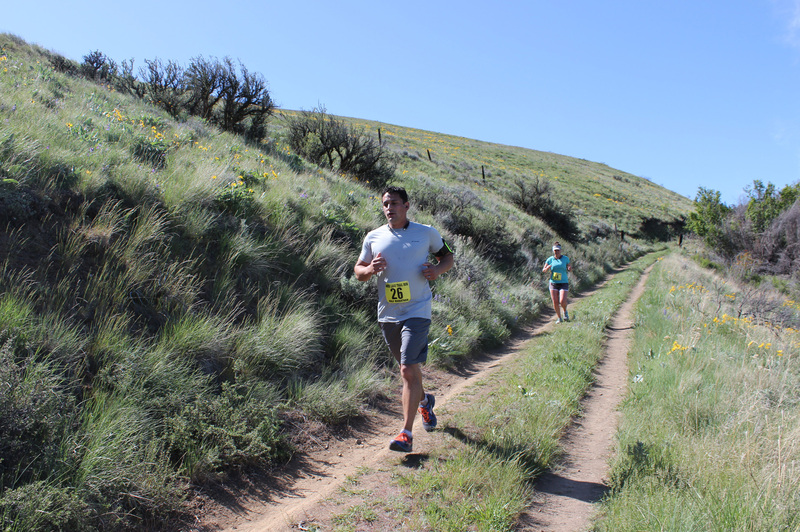 The trail series, put on by RunWenatchee and presented by the Volyn Law Firm, is the first series of its kind along the east slopes of the Cascades in Washington state. Horse Lake was a great way to get things going, said race and series director Joel Rhyner. Runners head out from the starting gate at Saturday's Horse Lake Trail Runs. A "train" of runners move along the lower reaches of the Horse Lake Reserve on Saturday. Several runners stick together in a pack Saturday on the Homestead Trail. Half-marathoners run down a dirt road from the Apricot Crisp Trail. 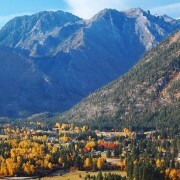 Views of the North Cascades were frequent. 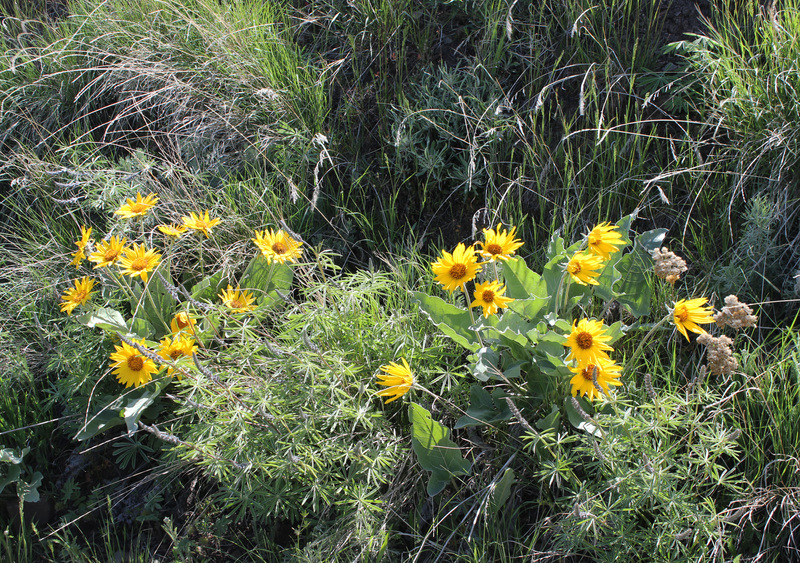 Wildflowers — in this case balsamroot — were plentiful at Horse Lake Reserve in the Wenatchee Foothills.